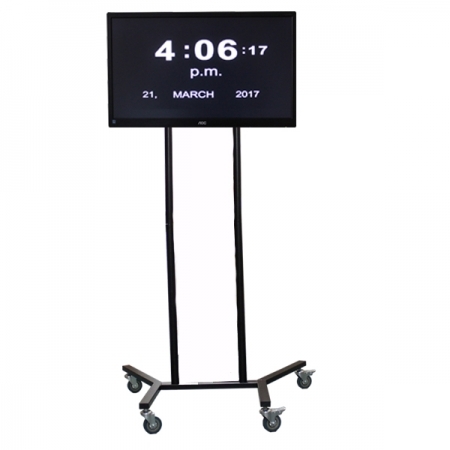 This large, bold, easy to see digital ward orientation clock has a choice of three displays switchable at the push of a button. The clock is designed for use in day centres, care homes and hospital wards where cognitive impairment and memory loss is present with time date and day orientation to relieve stress and anxiety. This clock has a large HD Screen and has been bold high contrast letters and numerals which makes it ideal for communal areas. Simple to set up and operate and easily portable on a wheelie stand, the screen can also be wall mounted (wall mounts not supplied) or stood on a desk using the stand provided. Compatible with any HDMI Screen. 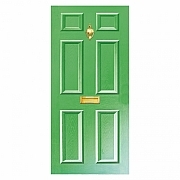 Perfect for Dementia, Alzheimer’s, Autism, Brain Injury, Low Vision, Elderly Care. Bold, easy to see display. Three displays to choose from. Monitor screen size is 24"